If you're still trying to undoing some Thanksgiving damage, but you are not going to give up dessert anytime soon, this tart may be just what you're looking for. It's a refreshing break from all the rich, heavy foods that were (and are about to be) consumed during the holiday season. Perhaps the only sin this tart is guilty of is it's sweet tart crust, but Dorie's crusts are works of culinary art that should be enjoyed without the stain of calorie angst. 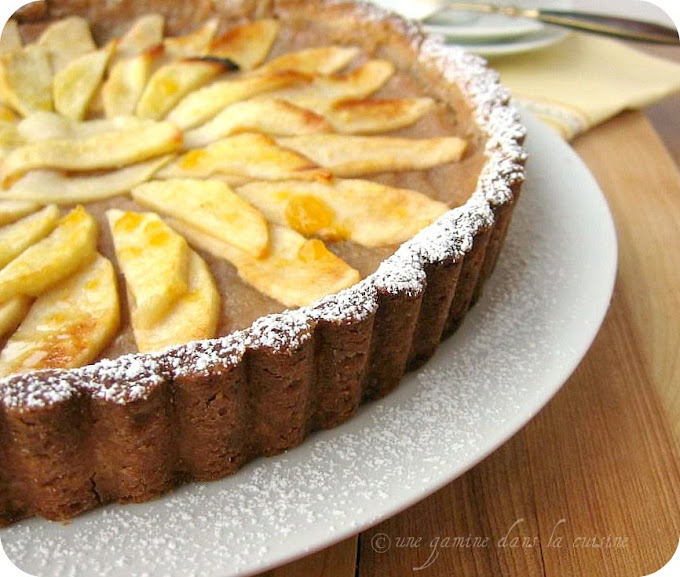 The rest of the tart is simply a luscious homemade applesauce topped with sliced apples. (The applesauce has a lovely blush of rose which comes from cooking the apples without peeling the skins. Brilliant!) A word of advice for the decorative top-layer, try to use large, wide apple slices. Mine were a bit too small and they ended up shrinking quite a bit while the tart was baking. For the recipe, please head over to Tracy, of Tracey's Culinary Adventures. Her food photography is gorgeous! This week's second Tuesdays with Dorie recipe was a sour cream pumpkin pie, chosen by Judy, of Judy's Gross Eats. Even though I'm not a big pumpkin pie fan, but I can't wait to hear the verdict on this one! Sour cream has a way of making just about everything taste better. That is one gorgeous apple pie! Although I love pumpkin pie too, I would always go with an apple pie if I had a choice. And I really must try Dorie's crust recipe. You're always raving about it! What n impressive looking pie. I'm way behind on my TWD posts but I'll make this soon! gorgeous, shame to cut into such perfection. Thanks for baking with me this week Valerie! Your tart is gorgeous, and you're right, it was nice to have this fairly light dessert option amongst the other heavy food of the past week! PS - I still owe you an email I think. I promise I haven't forgotten! 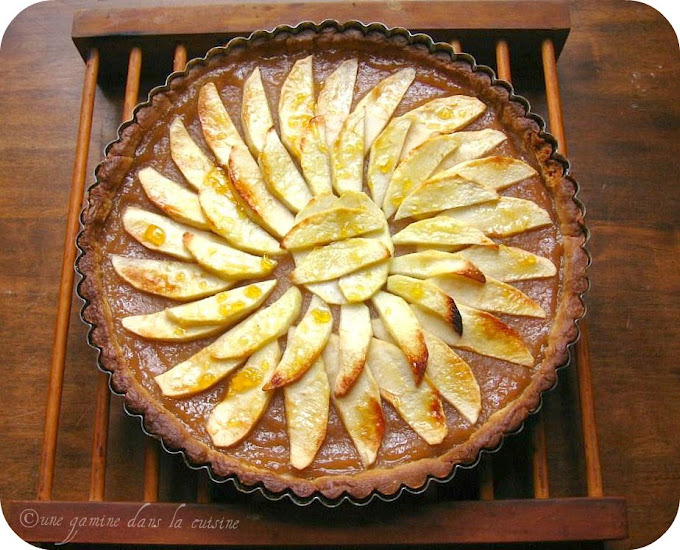 What a glorious tart! It is indeed just like a shooting star to look at. I wouldn't feel guilty about this..it looks totally worth it! Oh, you did a stunning job on this, Valerie. :-) It looks so rustic and wonderful. This tart just might enter the OMG level of goodness. Love it! I had a dessert featuring goat cheese for the first time a few months ago and was absolutely sold. Nicely done!